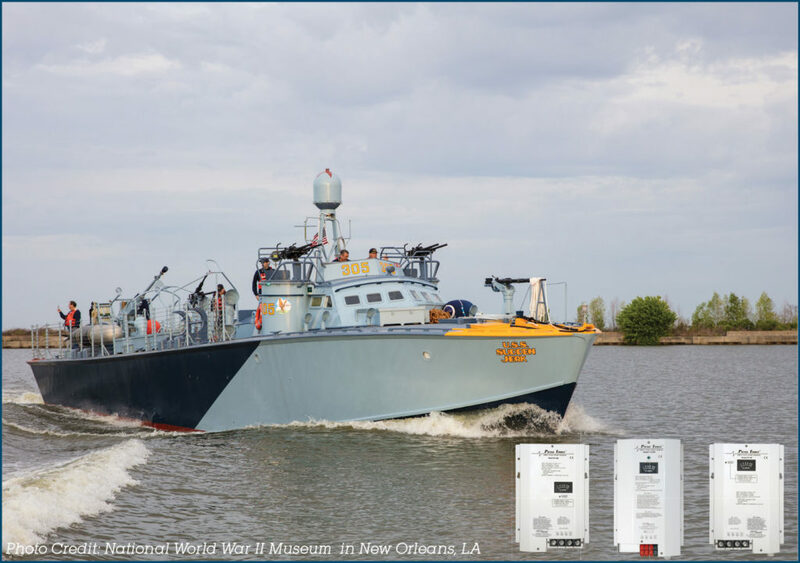 A U.S. Navy World War II PT boat, which was recently restored and rebuilt by volunteers at the National World War II Museum in New Orleans, has been equipped with modern state-of-the-art battery chargers by Newmar. After more than a decade of volunteer-provided planning and restoration work, PT-305 motored to its new home in a custom-built boathouse on Lake Pontchartrain, Louisiana, March 25, where visitors can tour and arrange rides on the fully functioning vessel. It was a home coming of sorts, since the vessel was built by Higgins Industries and conducted its first sea trial on the same waters more than 70 years ago. 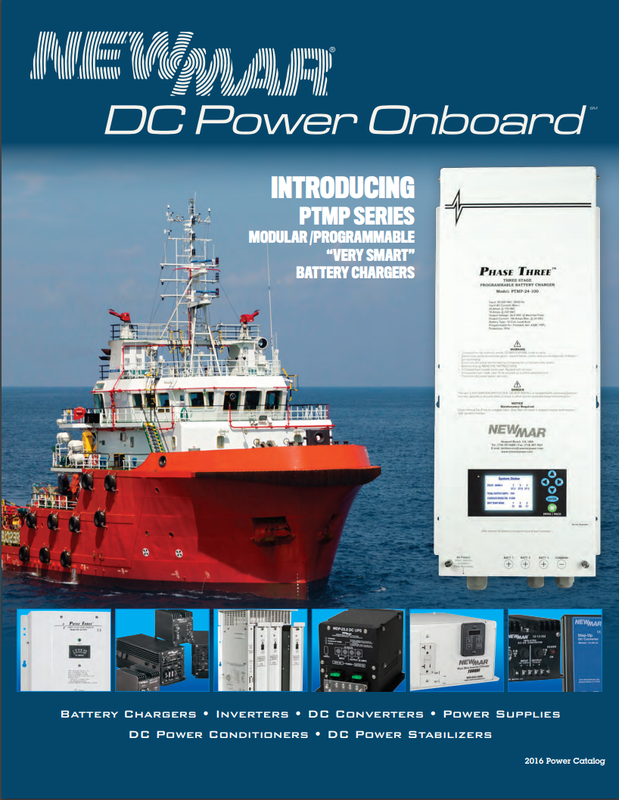 To help bring this project to completion, Newmar donated a package of four Phase Three (PT) series battery chargers for the vessel’s port and starboard 24V battery banks and the 12V generator start bank. To protect the integrity of the boat’s original 1943 design, the chargers and other related modern systems were mounted in the boat’s ammunition locker out of sight. The multiple Newmar chargers were added to meet U.S. Coast Guard regulation for passenger-carrying vessels to support navigation, communications, alarms, pumps and safety equipment. The Newmar PT series chargers incorporate smart circuitry to provide optimum three-stage charging for fast recovery and conditioning. 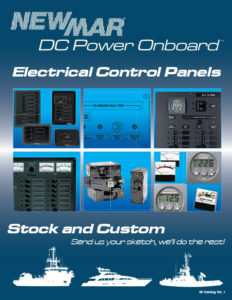 The ABS type approved units can also be used as a power supply for DC loads. “This project was a labor of love for the more than 200 volunteers who put in over 100,000 hours of donated work on the project, and it is a pleasure to see it come to fruition as PT-305 enters its new life as the world’s only fully operational combat-veteran World War II PT boat museum. All of us at Newmar are proud that we could contribute to the restoration,” said Brian Giannini, sales manager, Newmar. PT-305 was launched in May 1943 and had a distinguished combat record operating against German forces in the Mediterranean. With three 12-cylinder Packard engines running on aviation fuel, the 78 foot PT boats were the fastest vessels in the World War II with a top speed of over 40 knots. After the war, PT-305 was sold for $10 and eventually ended up as an oyster boat in the Chesapeake Bay before it was discovered and acquired by the National World War II Museum and brought back to New Orleans.